The holidays are a wonderful time to take a moment to reflect on our blessings, as well as to spend quality time with loved ones. Sometimes we travel long distances to visit with family with whom we rarely spend time — which can make for awkward communication. Families practice their own inscrutable form of PR when reunited for the holidays. Here are some PR-inspired tips for surviving the giving season without getting a migraine. PR pros know that staying on message is fundamental to rocking a great media interview. It takes discipline and agility to roll with a challenging reporter’s questions. The same goes in family “PR.” For some, it’s essential to not allow conversations to flow into hot topics like politics or religion. For best results, anticipate tricky questions from Uncle Gus or Nanna. Practice answers that gently direct conversations into “pre-approved” topics like football, your new boyfriend, or Nanna’s summer Disney cruise. For some, holiday gatherings may present an offer to bury the hatchet or resolve a long-simmering dispute. Apologies go with family like apple pie with ice cream. An ideal apology contains: admission of wrongdoing, real contrition, and a correction plan. You should also nip new problems in the bud. When you forget to pick up your cousin at the airport due to an early gin and tonic, there will be no way to evade conflict. Don’t be like Wells Fargo CEO John Stumpf, who said “we are sorry” – which would only serve to shift blame to the other family members. Finally, inform your cousin about your clear and actionable steps to remedy the problem, by rushing to pick her up or paying for a Super Shuttle, for example. To further show contrition, offer her the last piece of pecan pie. A classic codicil of media relations is to carefully research your media targets instead of firing out a wide, spray and pray pitch. PR pros waste their own and the journalists’ time by sending stories to reporters on the wrong beat. Once you’ve determined that you want to tell relatives that you’ve moved back in with your parents to take care of dad while his broken leg mends (and not because you lost your money in online football betting); you should pitch your story only to those targets interested in that type of narrative. Certainly tell your gullible uncle and your unconditionally accepting grandpa; but refrain from pitching your cynical aunt or your big brother, who doesn’t cover your beat. Public relations is the engine and gatekeeper of reputation management. If your life has become the stuff of speculation within the family, a few PR-inspired tactics might be effective in changing perception. Maybe your family sees your burgeoning acting/restaurant career as comic fodder. Build credibility by mentioning your appearance on an acting podcast or your last call-back. If your efforts fails, enlist the aid of an influencer. Bring a successful actor to dinner to re-frame their perceptions — an invaluable third-party endorsement. Be careful: an influencer guest can be mistaken for a love interest, sending the narrative cascading in the wrong direction! Of course, if the family’s negative chatter is not far off base, a full rebranding effort might be necessary, which would require a long-range marketing/PR initiative covering Thanksgiving, Christmas, and even New Year’s. If a PR pro has a truly newsworthy story, it may be advisable to pitch it as an exclusive to a key outlet before going wide. You have amazing news —a pregnancy, for example — but want to make maximum impact in light of a sibling’s constant attention hogging. An embargoed release is rarely effective in holiday family scenarios; they always get broken too early. Consider pitching the story to one key relative in private. Tell the one person everybody else listens to the most (and who can’t keep a secret): let’s call her Aunt Phyllis. She is keenly interested in the reproductive beat and will do a deeper, more comprehensive story, which will likely get picked up by everyone else in the family, then amplified on social channels. 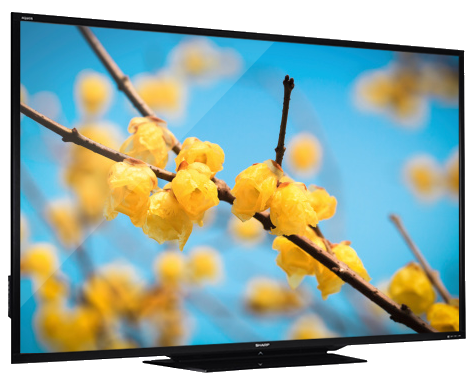 You will be the center of attention, taking advantage of earned and shared media wins. 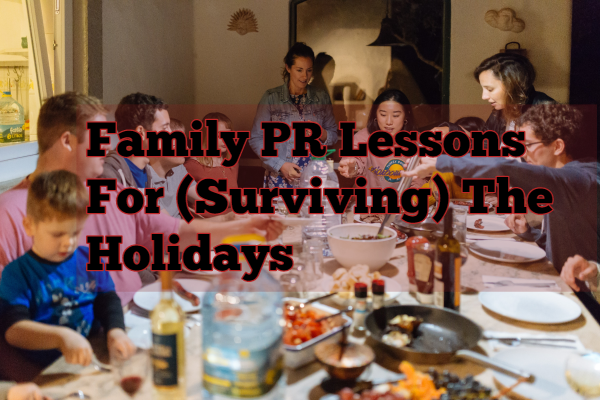 These and other “family PR” tactics can help to make this season a fun, non-political, controversy-free holiday. Happy holidays from all of us at Crenshaw Communications!